I was recently sent a book for children on the fundamentals of golf for children. It was sent from Wonderdads.com. I chose the golf book because my 7 year old daughter is learning to golf. 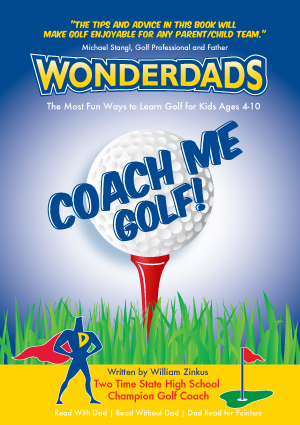 The book is easy to read and understand for children and was written by William Zinkus who has been a high school and college golf teacher for 16 years. There are plenty of sketches and drawings in the book that make it easy for a child to understand what the author is saying. I think this is a great book for children to get them more excited about the sport and understand it easier,It offers ideas on technique and golf etiquette. The book is made for an age group of 3- 13. It’s not a huge book that kids won’t want to read, it is 40 pages, soft covered and light weight. I think golf is a good sport for a child to learn because it teaches patience and is still good exercise and something that a child can do with a parent. 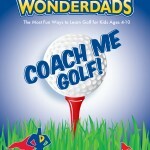 You can purchase the book at Wonderdads.com While you are there check out the site, it is a great site that offers dads ideas on fun things to do with their children and local activity guides for cities around the country. It has lists of restaurants, parks, sporting events that fathers can go to with their children. All written by pros at their sport.